Greetings NSBE DC Members and Friends! 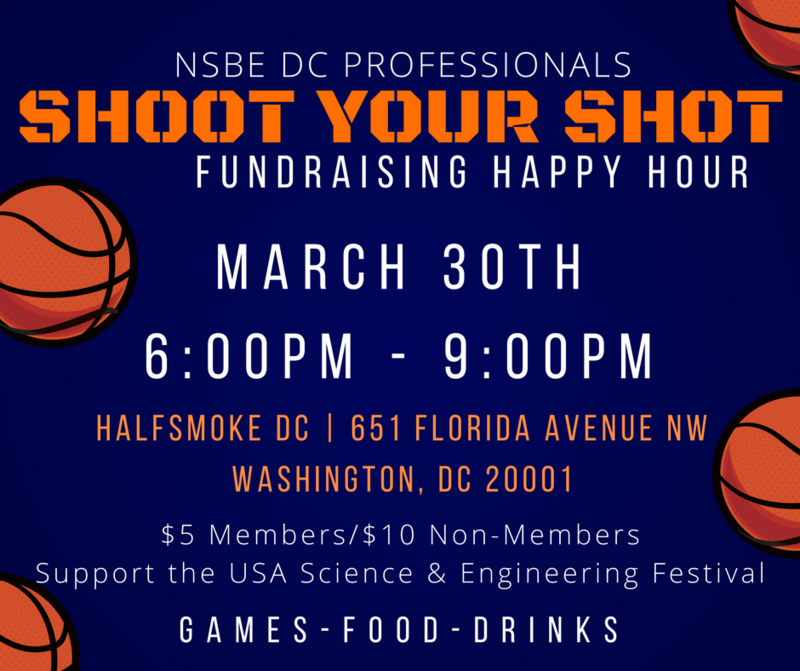 Come to Halfsmoke on the 30th to engage in some fun Basketball-themed games and competition and help raise funds the USA Science and Engineering Festival! With both the Men's and Women's Final Fours the following four days, what better way to bring on the best weekend in college basketball! There will be light appetizers provided. Cost is $5 for members and $10 for non members. As mentioned the majority of proceeds will go to support materials and supplies for the thousands of kids that will be attending the USA Science and Engineering Festival from April 6 - 8 at the Washington Convention Center. Transportation: Ridesharing or Metro is strongly preferred: nearest station is Shaw/Howard (Yellow/Green).